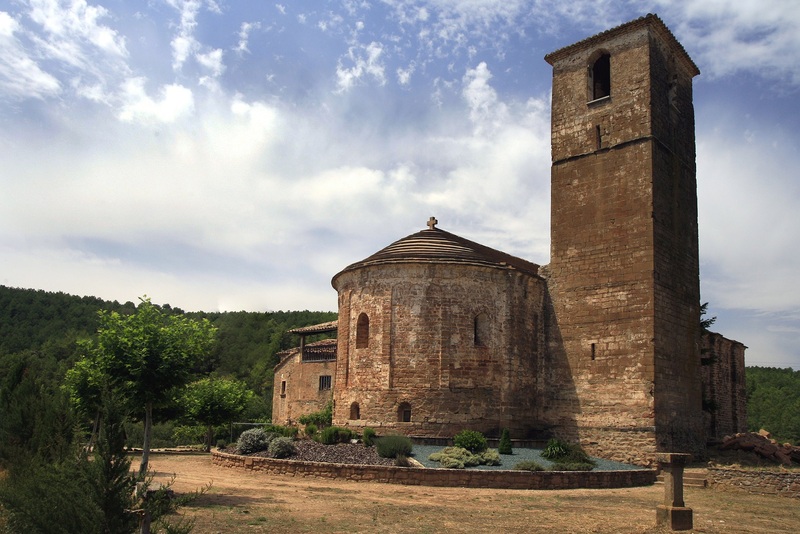 Sant Esteve d’Olius is one of the most important monuments within the Lombard architecture at the last quarter of the 11th century. The church is a large temple, built with an only semicircular nave supported by four arches. The bell tower has a square shape; it has four windows with an arch. Below there are long narrow openings. Below the altar there is a crypt dedicated to the Virgin Mary. 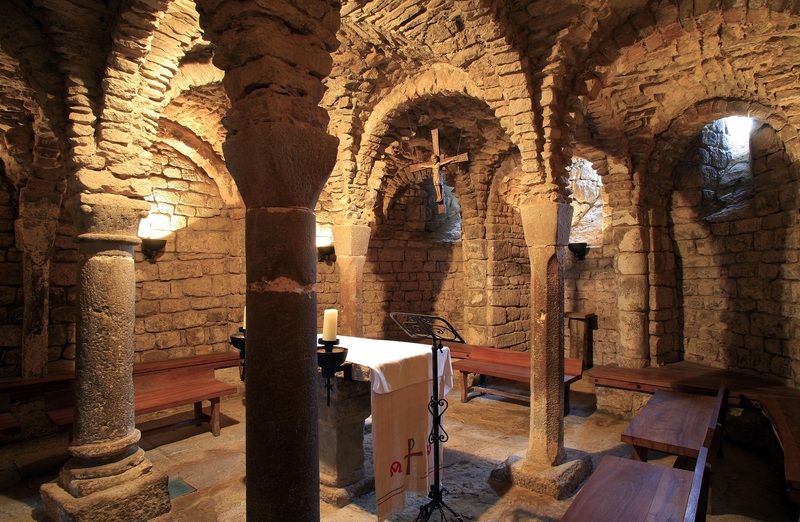 The crypt is the most elegant and original part of the church. In the past the way in was through two lateral staircases. The present staircase dates back to the 17th century. It creates a rectangular space divided in three naves of four rafts that support the semicircular arches and the vaults. The modernist cemetery is really worth a visit. 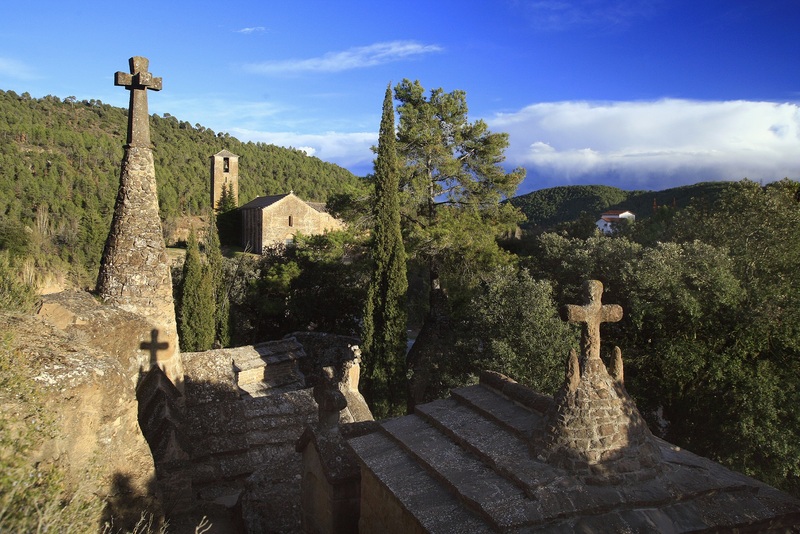 In 1915 a project for a new cemetery was entrusted to the diocesan architect Bernadí Martorell. He was a modernist architect influenced by Gaudí and Domènec i Muntaner. The graveyard is integrated into nature and surroundings’ landscape. It is a peculiar cemetery because people are buried inside the rock and only the ones who were born or have lived in Olius are allowed to be buried in this place.